What Is Per Capita Income In Pakistan 2018 In Rupees? what is per capita income in pakistan 2018 in Rupees is the common question after the unveiled of economic survey of Pakistan. Recently, when economic survey of Pakistan 2017-18 was unveiled, then it explore that now Rs 162,230 is per capita income in pakistan 2018 in Rupees. It is highest within own nature trend. Although there are many factors directly contributed towards the per capita income. The population census of March revealed this new figure of per capita income. It is the figure which directly impacts upon the economy of Pakistan. 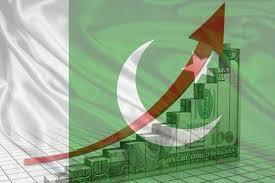 The general well being in an economy can explore through the per capita income in Pakistan. The calculation includes the Gross National Income (GNI) by population. The GNI obtained after net factor income. Stay with this website to get other MCqs of current affairs.